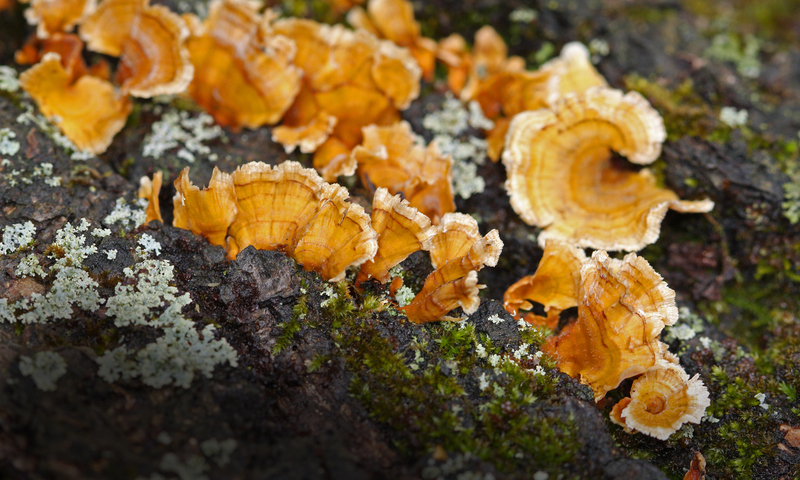 The Illinois Natural History Survey (ILLS) Fungarium contains over 70,000 specimens including approximately 12,000 basidiomycetes, 25,000 ascomycetes, 15,000 imperfect fungi, 11,000 lichens, 1,200 zygomycetes and oomycetes, and 1,500 myxomycetes. The collection also possesses 995 type specimens, mostly ascomycetes and imperfect fungi, including 235 holotypes and 555 isotypes and/or paratypes. The fungi are mostly collected from throughout North America with a large plant pathological collection from Illinois, a large aquatic ascomycete collection from the United States and Canada, and a smaller ascomycete collection from the neotropics. As of July 2011, the University of Illinois (ILL) Fungarium is now housed at the same location as the ILLS specimens. This collection contains over 95,000 specimens of mostly ascomycetes and imperfect fungi and includes 4009 type specimens and 43,394 exsiccati. Download a PDF of our exsiccati here. All fungal specimens at Southern Illinois University (SIU) were acquired in 2011. This collection contains over 8000 specimens of mostly basidiomycetes, but also includes 600 myxomycetes from G.W. Martin. All fungal specimens at Eastern Illinois University (EIU) were acquired in 2013. This collection contains over 15,000 specimens of mostly basidiomycetes and over 5000 lichens. In total, there are over 183,000 fungal specimens housed at the Illinois Natural History Survey ranking it within the top ten largest fungaria in the United States. The Fungarium is housed on the first floor of the Robert A. Evers Laboratory located at 1909 South Oak Street on the south end of campus at the University of Illinois. Specimen loans are available to qualified researchers. Loans are generally made for a period of one year, renewable upon request. Primary types are generally loaned for a period of one month from the date received by the borrower and are non-renewable. Holotypes, isotypes, and a major portion of the type material of each species described based on INHS specimens must be returned. In general, specimens will not be accessioned unless they have been properly curated and have data that includes at least the collection locality and date. All collections have been identified to genus and most to species. Standard methods of preserving, maintaining, and mounting specimens are followed. Pest control procedures include the limited use of naphthalene, scheduled inspections of all drawers in the collection, freezing of all incoming material, avoidance of food and water sources in the collection, and general housekeeping.